As one of Australia’s most trusted salary sacrifice companies, Benefit@bility can save you thousands each year – and the process couldn’t be easier! 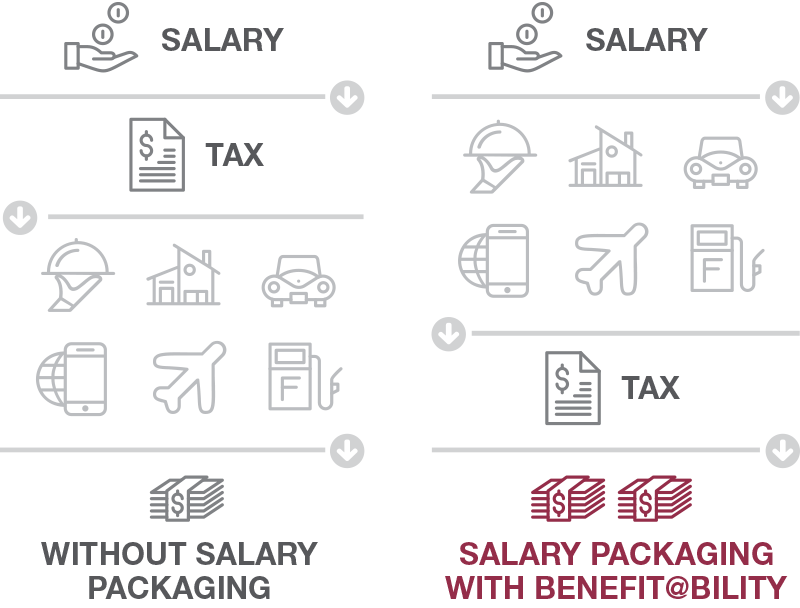 Salary sacrifice – or salary packaging – is an Australian Tax Office (ATO) approved method of increasing your take-home pay, by lowering your taxable income. Salary sacrificing enables you to pay for a range of living expenses with your pre-tax salary. Facilitated by Benefit@bility, it is an arrangement between you and your employer. By “sacrificing” part of your salary to pay for these items, you’re reducing your taxable income, as you only pay tax on the remaining portion of your salary. This means that come payday, you have more money in your pocket. Barry Saves a Massive $459 per year ! 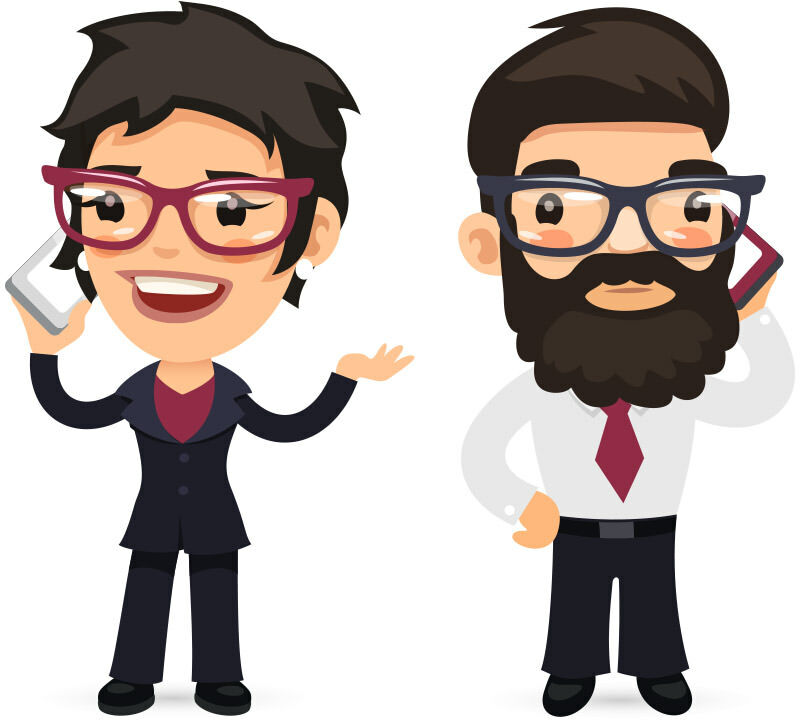 As a quick example we have compared two employees who have a mobile phone which is used predominantly for business. Both have the same plan, which costs them $99 per month and both earn $70,000 per year, which means they pay 32.5c in each $ they earn over $37,000 in tax. In a nutshell, salary sacrificing means you pay less tax – and take home more pay! There are numerous benefit items you can salary sacrifice with Benefit@bility, such as your vehicles, mortgage repayments, mobile devices and entertainment, to name a few. Salary sacrifice is available to anyone who is employed, providing they have approval from their employer. Take home your pay the smart way! Start salary sacrificing today! You can salary package your vehicle and that of your spouse by using a novated lease. The car does not need to be used for business at all. Novate@bility can assist you with packaging your car. Car parking provided by Government bodies, educational institutions and registered charities are exempt from FBT. If your employer is allowed to use a threshold, then you can package your rental up the threshold, which is equivalent to $15,900 or $9,010 per year. Where child care is provided to employees by the employer, which is located on the employer’s premises, the benefits provided are exempt. The cost of insurance to cover you in the event of you no longer being able to work can be salary packaged. Employees can package the costs of living away from home for a period of up to 12 months for work purposes. This generally includes all associated costs and an allowance for meals. If your employer is allowed to use a threshold, then you can package up to $2,650 of meal entertainment or venue hire expenses per year. The cost of one PDA / mobile phone can be packaged per year, along with the costs of the calls. There is a requirement that it must be used predominately for work purposes. Professional memberships which are held predominantly for work purposes are exempt for FBT. The costs incurred in relocating for work purposes can be salary packaged. These costs include the cost of selling your home and the costs of buying your new home, including stamp duty and agents commission. Additional superannuation contributions can be salary packaged. Work related clothing can be salary packaged. Why Salary Sacrifice with Benefit@bility? With our expansive industry knowledge and innovative technology, we have developed Australia’s fastest, easiest salary sacrifice system. Renowned for our integrity, outstanding customer service and pricing transparency, we have forged a reputation as one of Australia’s most trusted salary sacrifice providers. The growth of our business through word-of-mouth recommendations is testimony to the exceptional level of service we deliver. Our only fee is a small % of what you save – if you don’t save, we don’t charge! You can start the process right NOW! Operating Australia-wide (from WA, to NSW, to QLD and beyond), Benefit@bility’s salary sacrificing services are available to absolutely anyone who is employed, providing they have approval from their employer. Salary sacrifice is a complex business and – with the huge array of benefit items, corresponding legalities and tax requirements – can be difficult to navigate. Benefit@bility will do all the hard work for you, saving you time and hassle. We are here to simplify the process for you and will work with your employer on your behalf – so that come payday, everything works seamlessly. So put us to the test! Whether you’re looking to salary sacrifice in Perth, Brisbane or anywhere in between, start the ball rolling now by submitting your salary packaging application form.